Paul's House is located near Cambridge, England, UK. 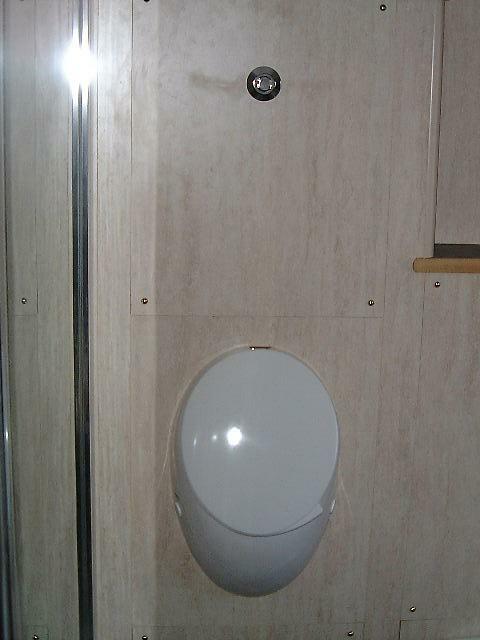 Paul proudly tells us about this installation: "We have just had a home urinal installed - Keramag Joly. The reason for its installation was to avoid getting a cold bum or switching a light on... at night and also to save water." 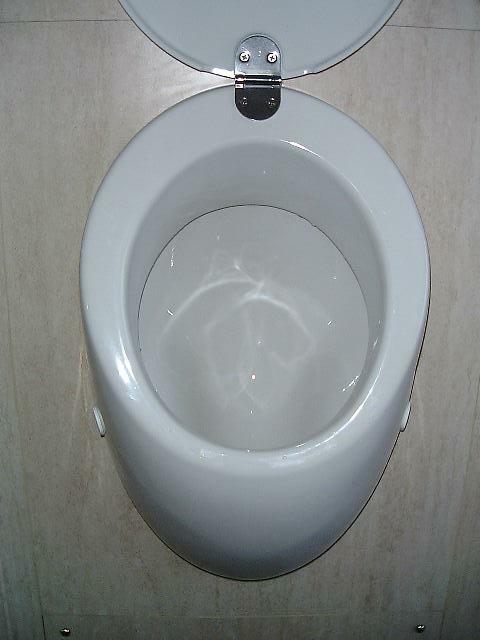 "The UK regulations for the installation of urinals meant that we could not use a regular flushing valve off the mains water supply but had to feed it via a low-capacity cistern." "Most people think it's really weird for me to have insisted on a urinal and my wife is still not 100% convinced. 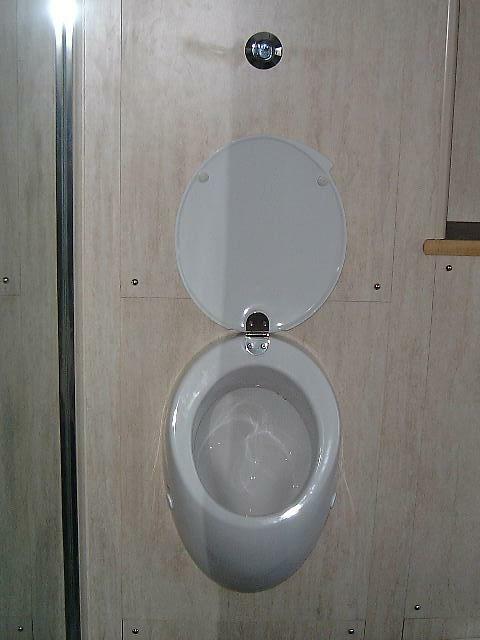 Mates think it's great apart from one who finds it too high to use comfortably. He wasn't impressed by my solution either."